Want to add a touch of seasonal decor to your home? 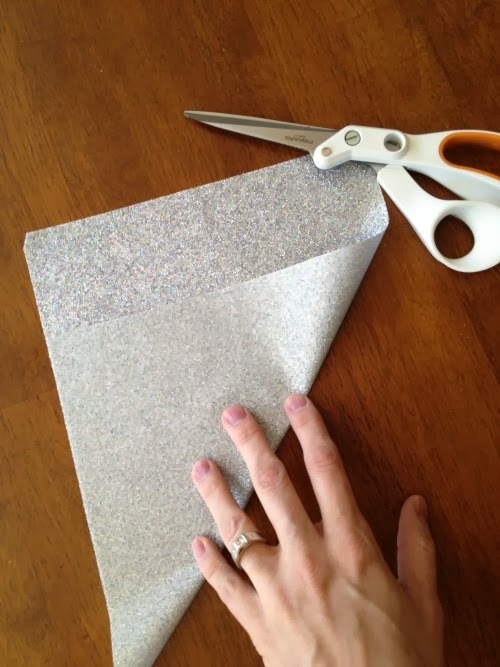 Here's a super fast and easy project you can finish in about 5 minutes. I love a quick project with pretty results. 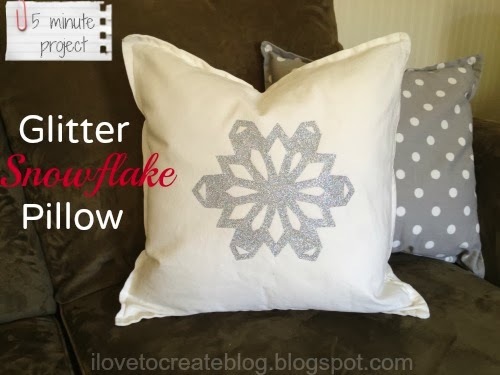 To make this pillow you need Tulip Fashion Glitter Transfer Sheets. If you haven't used them before, they are awesome. 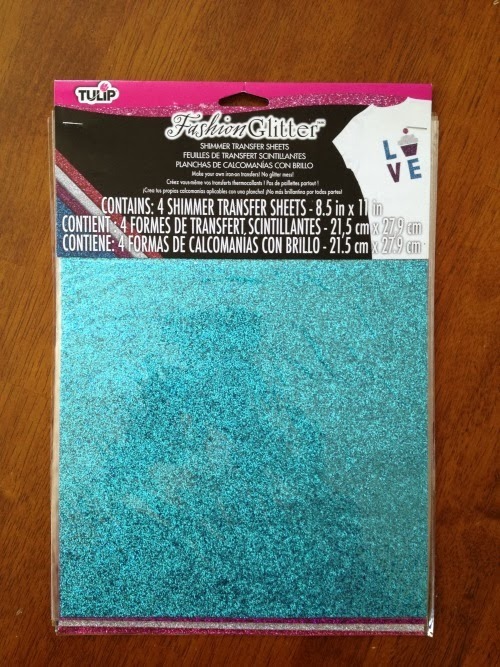 They are glitter and adhesive in one. They are flexible and easy to cut. 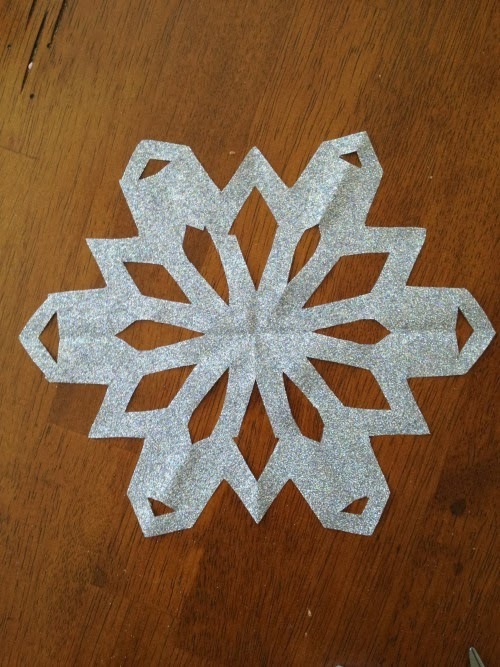 To create my snowflake I folded the paper diagonally and cut off the excess so that I had a square. Then I folded that triangle in half again. Lastly, I folded that triangle into thirds. I trimmed the top and then cut it until it looked like this. After unfolding it, here's what it looked like. If there are any parts that need fixing you can just trim them up until it looks right. Then I placed it on my pillow, covered it with a sheet, and applied it with my iron. And you have a festive, seasonal pillow to had a little life to your couches. 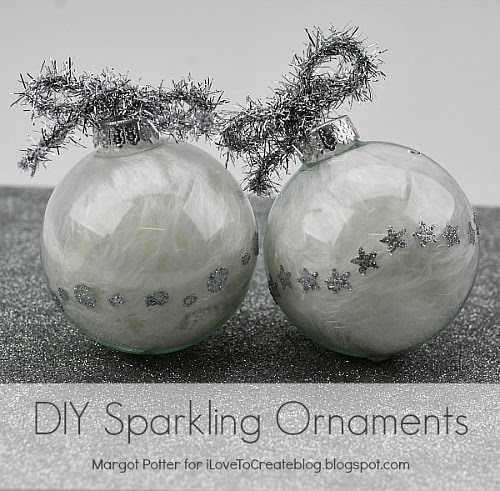 I'm super excited about this simple sparkling ornaments DIY! I've been playing around with Tulip's new flexible stencils lately, and it occurred to me that they might be really fun on Christmas ornaments. I collect the old Shiny Brite ornaments, and what I love best about them is the glittered accents. 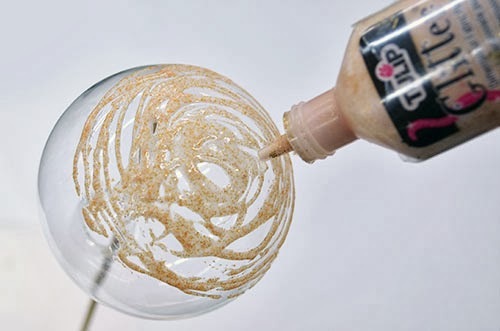 You can use the Tulip Body glitter and adhesive for this, it works beautifully! Add a little maribou inside and you have a sparkling, glamorous accent for your tree in a few simple steps. I had some tinsel ribbon in the studio, and it tied everything together perfectly. (Pun intended.) 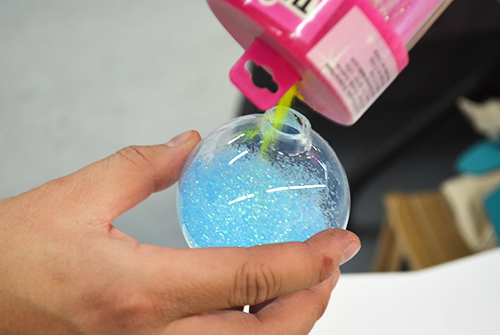 Here's how you can make some Sparkling Ornaments of your own. Step one: Place stencil on center of ornament. Make sure you rub it down with your finger tips so there aren't any air pockets. Step two: Dab the adhesive on the stencil. Step three: Dab the glitter on the adhesive. Step four: Peel and reveal. If there is any adhesive seepage, use a wet cotton swab to clean it up. Step five: Remove cap from ornament and fill with maribou trim. Replace cap and add a tinsel bow and hanger. That's it! Now sip some egg nog and admire your sparkling tree! Tulip body glitter comes in a rainbow of colors and you can find feather trim to coordinate if you want a more colorful version of this project. We would LOVE to see your version of these, join the crafty conversation on Facebook! 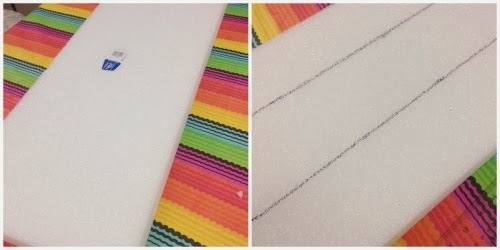 You can get more fun, fast and fabulous DIY from me at The Impatient Crafter(tm). Happy Saturday everyone! Check out this video by our very own brand specialist Chloe Tatro. 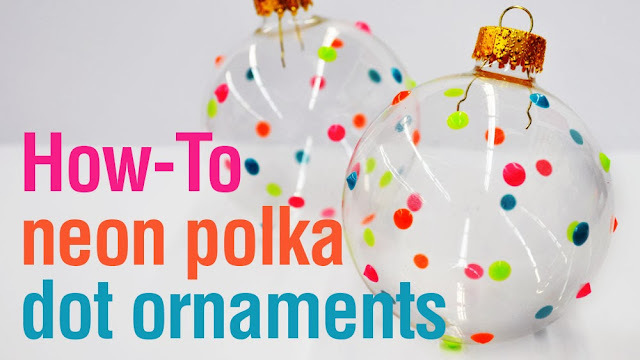 Chloe shares how to make these adorable and fun polka dot ornaments using clear glass ornaments and Tulip 3D Fashion Paint a.k.a. Puffy Paint! 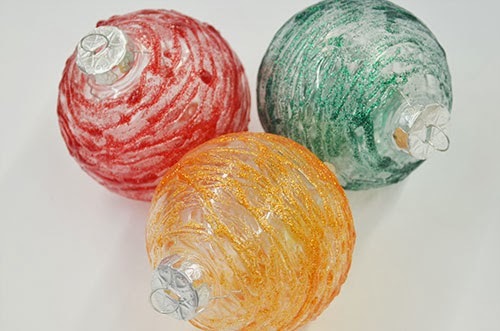 Watch below to see just how simple it is to make these sweet ornaments! 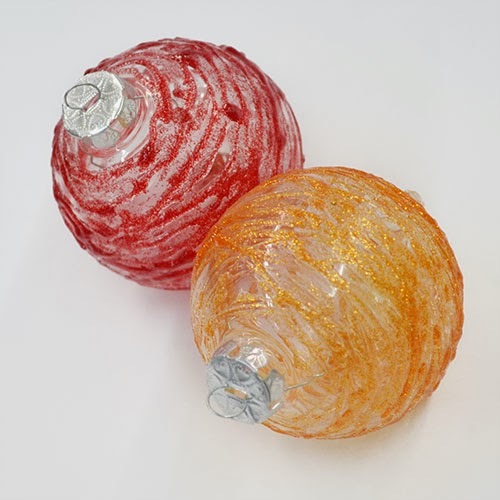 If you made these cute ornaments, would you make them bold and bright like Chloe did or would you pick more traditional colors? 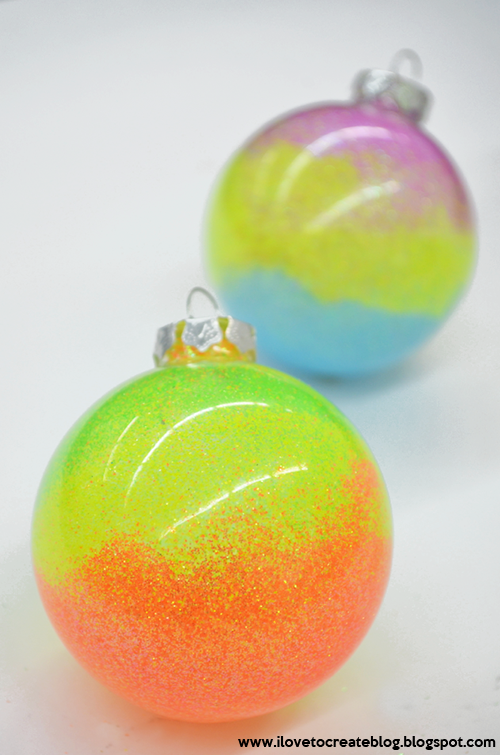 We've been on a big neon ornament kick lately in our design studio! We even are going to get a small white Christmas tree and hang them to add a pop to the room for the holidays! 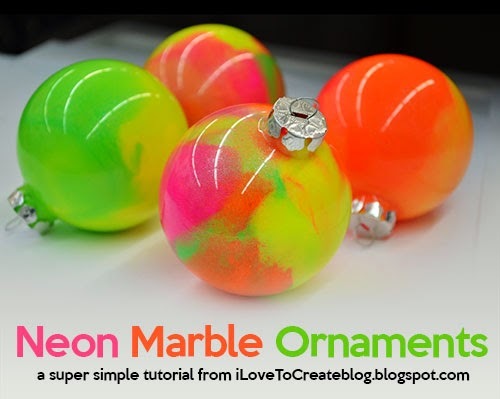 This neon marble set definitely was a LOT of fun to make and all it took was some neon Tulip Soft Paint and clear ornaments to make them! 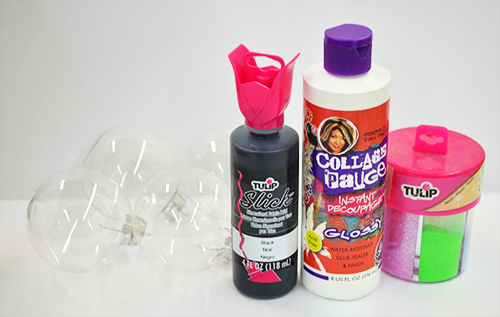 Here's how you can make your own fun and funky set! 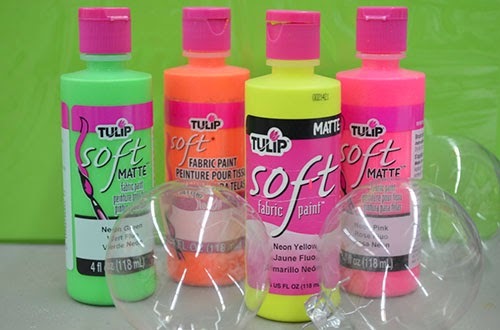 Like I said before, you just need Tulip Soft Paint in neon colors and clear glass bulbs from the craft store. If you bulbs are dirty, simply clean them off with rubbing alcohol or a baby wipe. You'll also want to grab some paper towels for this project and a plastic cup. Next squeeze in a little paint inside the ornament. A little bit goes a long way as you'll see in the next step! 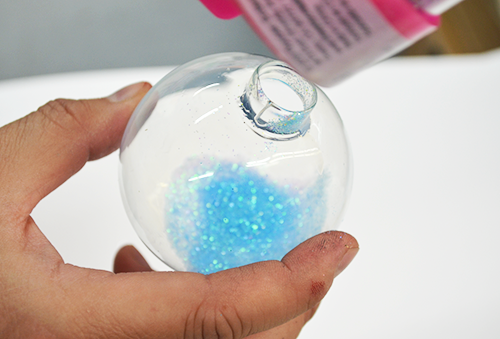 Plug the top of the hole with your finger and shake your ornament quickly back and forth. The paint will disperse inside in a splatter effect. Now add your second color and do the same shimmy & shake. You can stop at a second color or even add a couple more! It's up to you. I also like when the ornament leaves a little bit of the glass exposed and you can see through it! 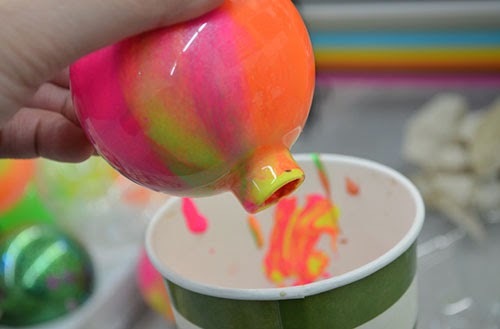 When you finish coating the insides, you'll want to shake out the remaining paint into a cup. 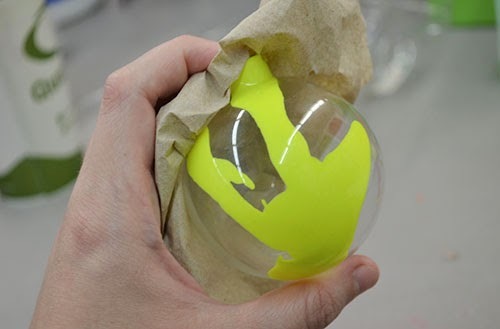 It takes a while for the paint to dry inside the ornament, so it's best to get rid of as much as you can. 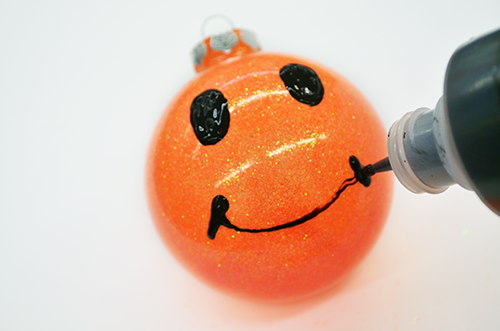 Otherwise, if your ornament is being handled -or- if it rolls upside down, it can pour out paint from the metal stem! Add back in the metal stem and display these puppies around the house for some added pop! This version used four colors. From personal experience, if you shake the green and orange together too much, it may turn into a brownish color. That was just on one part of my ornament and not the whole thing. I think my two tone and three tone versions turned out nice cause they are similar colors and flow nicely together! Experiment and play around with what color combo you like best! 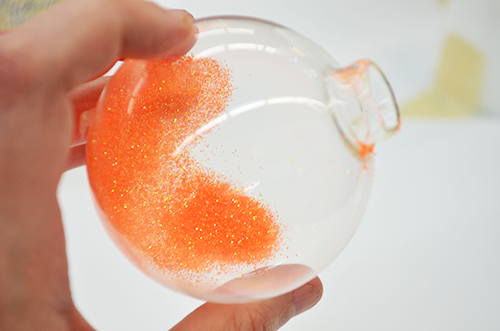 The fun of these ornaments is that each one is it's own little experiment and cool result! 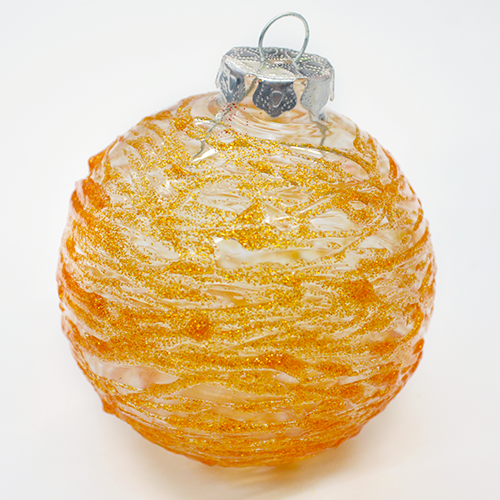 Looking for more ornament ideas? Check out these other projects from our blog! I've been wanting to make Thanksgiving decorations for when people enter our house. 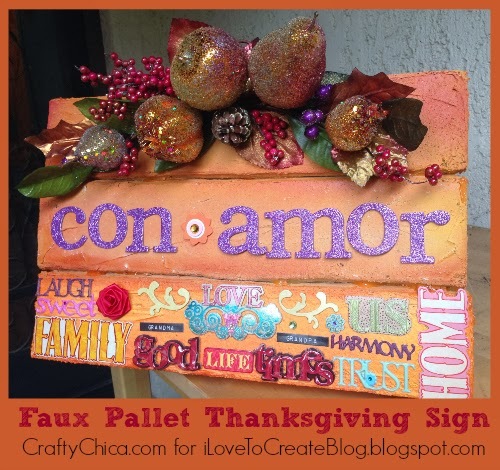 Something to show happiness and love - but sans any turkeys or cornucopias. This was the perfect mix! 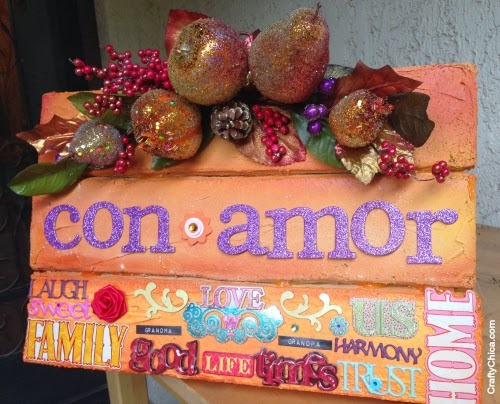 It says "Con amor" which translates in Spanish as "with love." 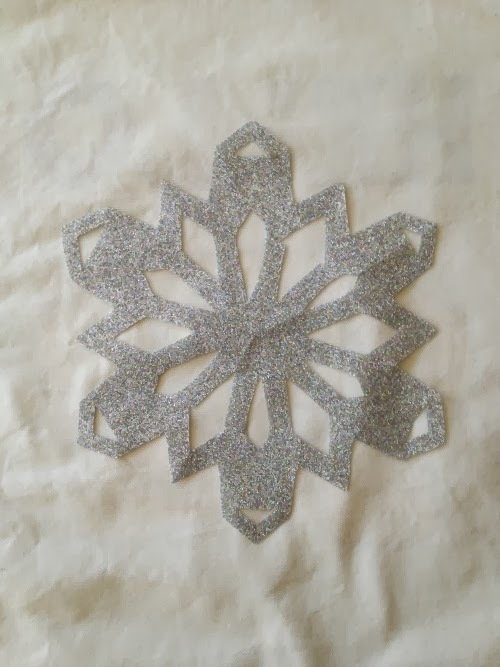 Here is how I made it - it looks really heavy, but it is so light because it was made with FloraCraft Foam, Aleene's Snow and scrapbook stickers! 1. 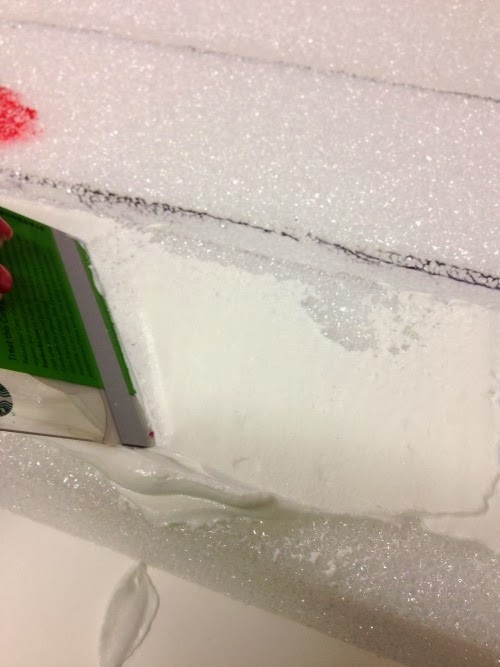 Use a ruler and pen to draw two lines on the foam all the way down. 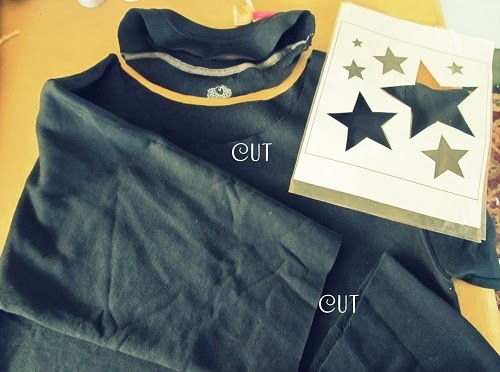 Next, use a hot knife to cut into pieces, then cut it to the width you want. 2. 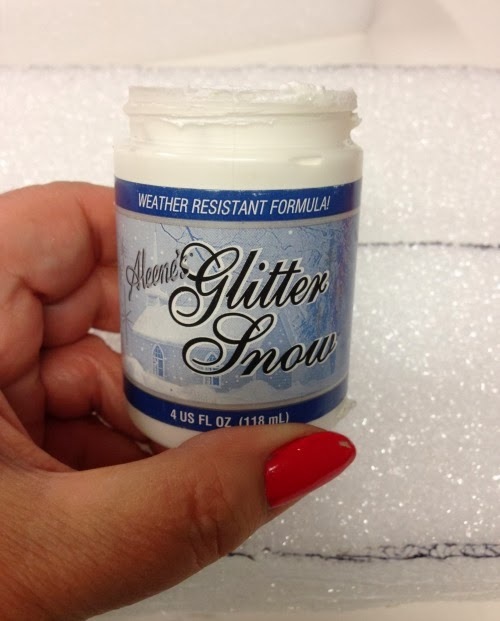 Once your pieces are cut, you need to coat them with the Aleene's Snow. It's thick and creamy and will make the foam become a smooth, paintable surface. 3. I used an old gift card to apply the Snow all over the top and sides of each piece. Let dry for about an hour, then glue the three pieces together with the Tacky Glue. 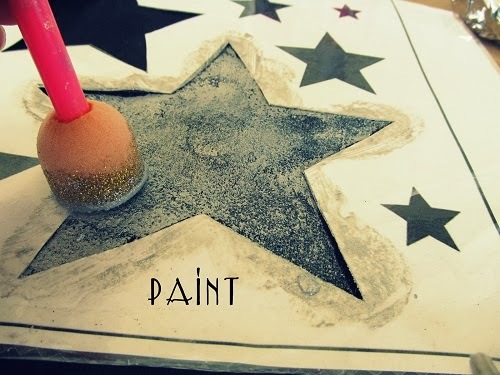 Once its dry, then spray with orange paint, accented with yellow and red around the edges. 4. Now it's time to apply the embellishments. My best tip is to arrange your layout before you glue. ALSO - add Tacky Glue to the back of the stickers. 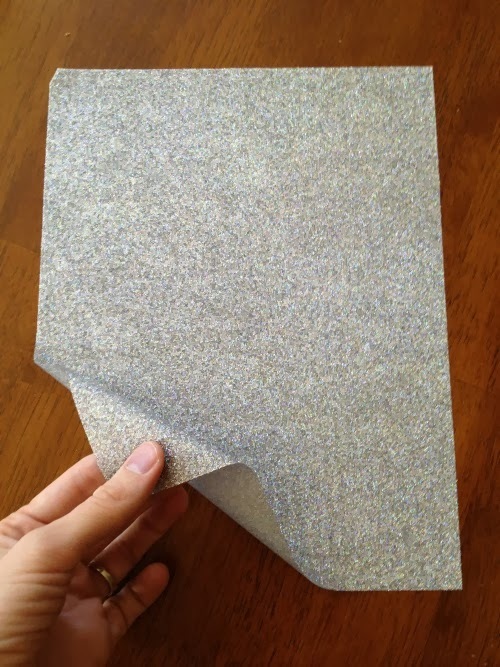 The sticker adhesive is only strong enough for paper, not the texture of this surface. you don't want it all to come off during your party, right? 5. My favorite part is adding the stickers. Just have fun and add them in different directions and levels. You can also add in small objects to offset any areas that need balance. 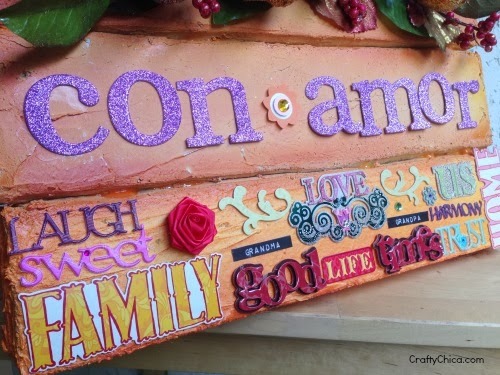 Add your main word in the center and add the bigger embellishments on top, using Tacky Glue. 6. To hang - add picture hangers on the back, or just prop it up wherever you want! Thanks for checking out my project! Make sure to visit MakeItFunCrafts.com andCraftsNCoffee.com for more crafty ideas! 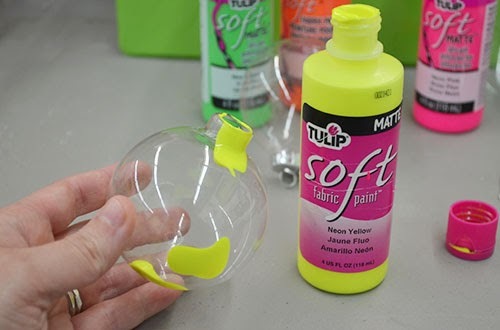 Hey everyone, I wanted to bring to you one of the easiest and classiest ornaments you can make on the fly...and you really only need 2 things...a clear ornament and a bottle of Tulip 3D Fabric Paint! Hurray for easy holiday crafting, right? – Small cup or surface to let your ornament rest while drying. 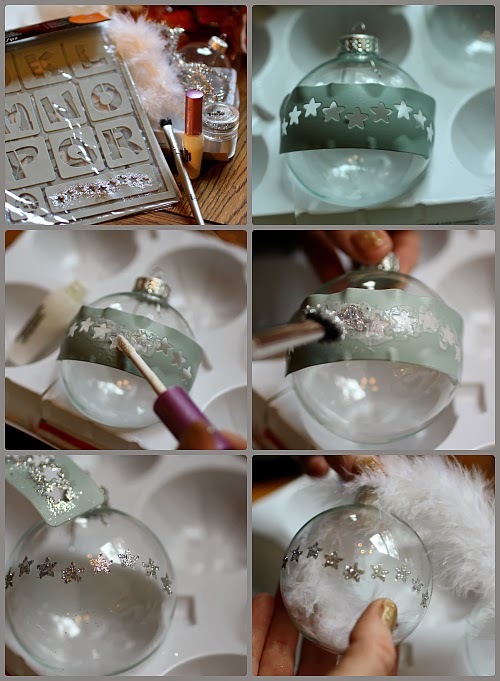 This project is seriously the easiest...you don't even have to take off the cap to make ornament magic happen! 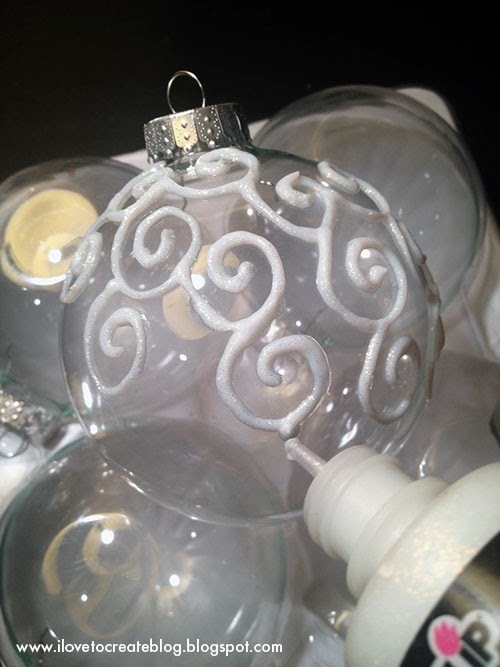 Starting from the top of your ornament, squeeze a small spirals onto the ornament. From that squeezed spiral, offshoot another spiral design, and another, and another. A general rule of thumb for a great looking overall design is to have all the spirals going in the same direction. Complete one side of your design like this and position it on top of a drinking cup or even your ornament container to dry. This will generally take anywhere from 2-5 hours to dry, depending on the thickness of how much you squeezed out. Once it is dry on this side, flip over and do the other side! Easy peasy! 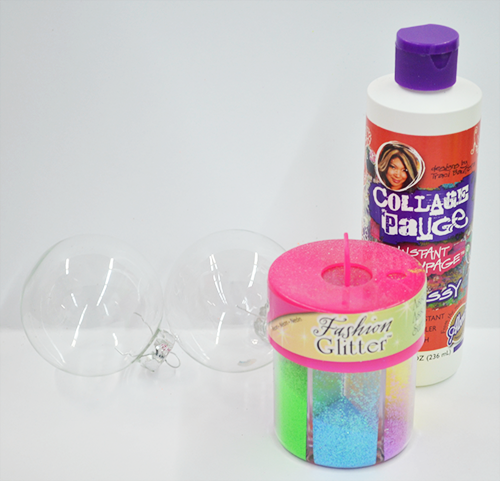 – The bottles of glitter 3D paint (a.k.a. 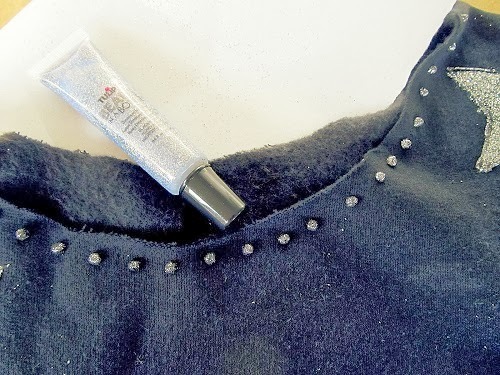 Puffy Paint) comes out milky white, but dries clear and sparkly. 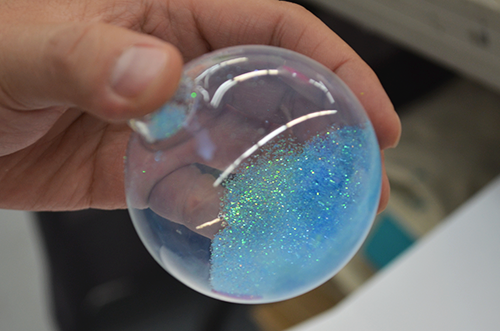 So don't be confused if it doesn't come out sparkly when you start squeezing! 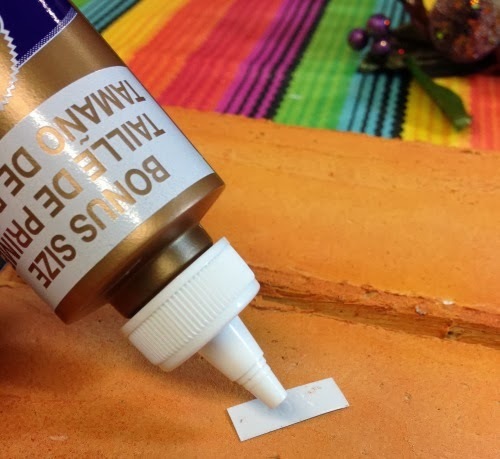 – You can actually drag the tip of the bottle write on the surface if you want. This may be a better solution for those folks who have not used 3D paint before. It still turns out looking great and you can correct any mini mistakes you might make along the way. – Keep a wet wipe or paper towel on hand to clean up any small mistakes you may make. And if you end up not liking your design at all, you can just wipe it off and clean off your ornament. If you aren't keen on the dried design, you can also just peel it off and start anew! 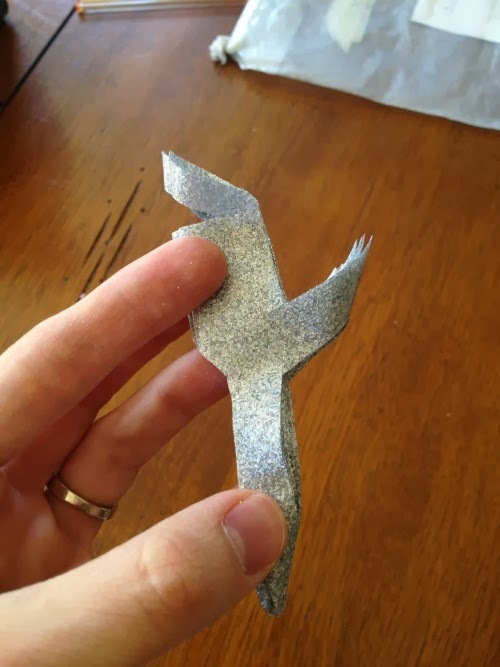 Feel free to fill the inside of your ornament with feathers, paint, or glitter, like we did in this tutorial! Happy holiday ornament-making crafty friends! 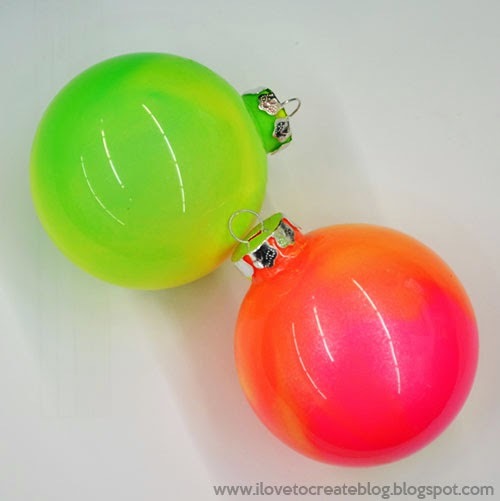 Neon is everywhere you look these days, so I thought, "Why not ornaments too?" Everyone who I've showed these ornaments too fall in love with them! They are just so bright and funky. Here's how you can make your own set to share with your friends and family! 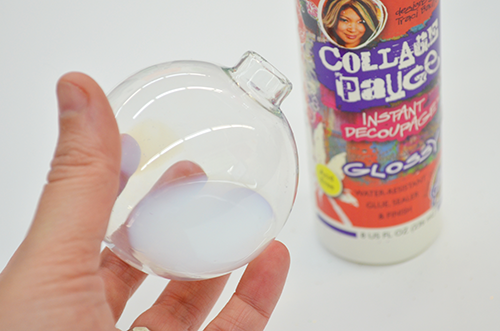 Squeeze a little bit of Collage Pauge in your ornament and add a teaspoon of water inside. 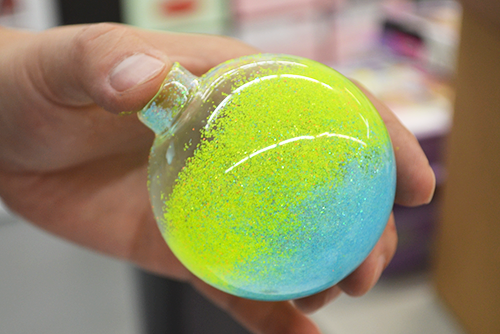 Move it around to coat the inside of the ornament. Pour out the contents of ornament totally out and shake. Clean off the outside of the ornament if you need to! 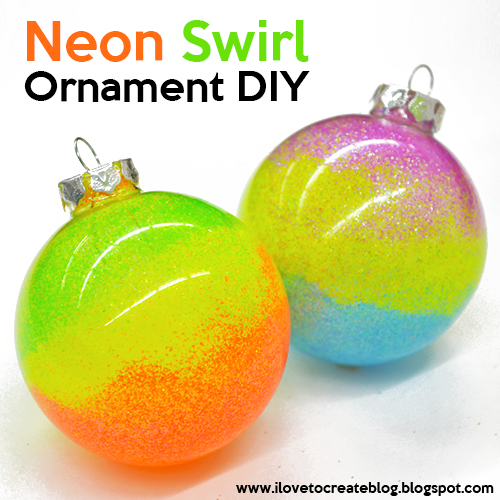 Pour the neon color of your choice into the bottom of the ornament. Move the color around just on the bottom third of the ornament. 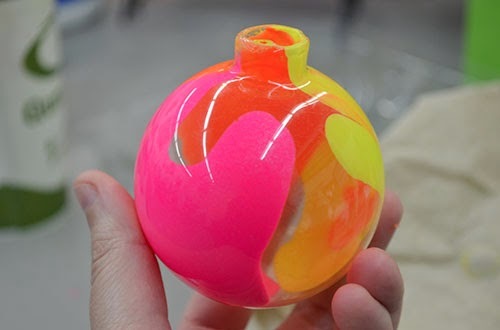 Now add in another color and move it around the middle of the ornament. As you can see, the color doesn't take over the blue glitter portion, it just blends into it. Repeat the process for your final color and put your cap back on! 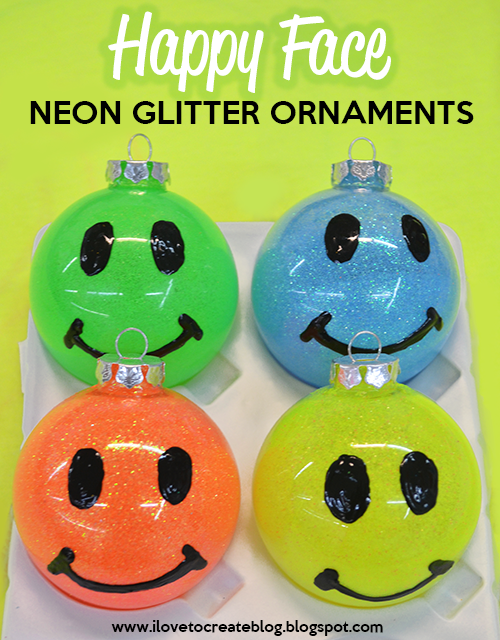 These ornaments turned out so fun and will get oohs and ahhs from your friends, because there's not a lot of neon ornaments out there right now. Add them to some simple giftwrap or butcher paper for a fun accent. You can also make a whole bunch and display them in a bowl! 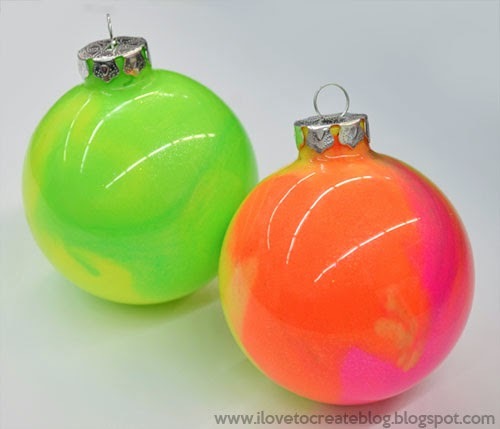 Check out our other great holiday ornament DIYs! The holidays are upon us and what is more fun than getting cozy and crafting up a storm? 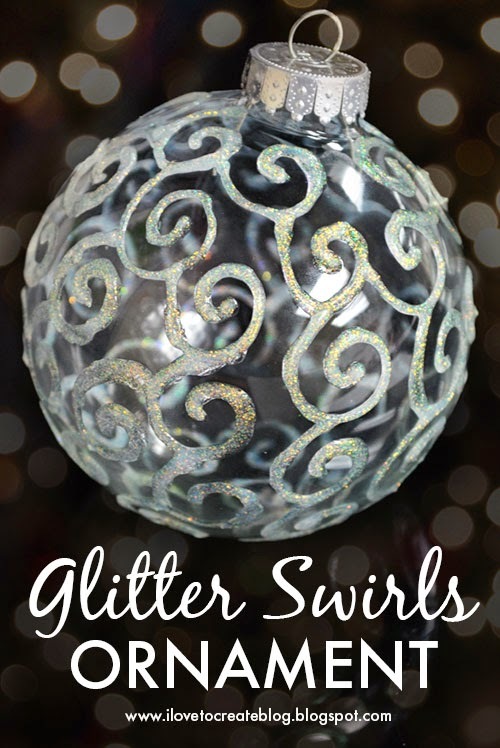 These glitter swirl ornaments are the perfect way to add a little sparkle to your home this season and they are super easy to make! 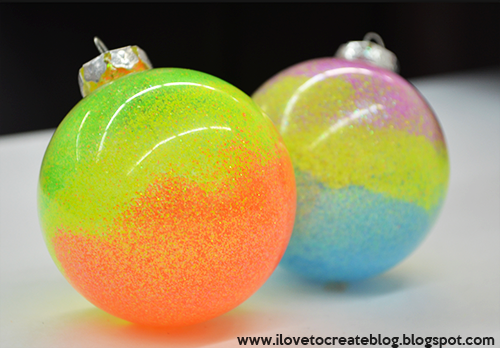 We were inspired by these neon puffy paint ornaments that Margot Potter made last week! You can make bunches of them in an afternoon! 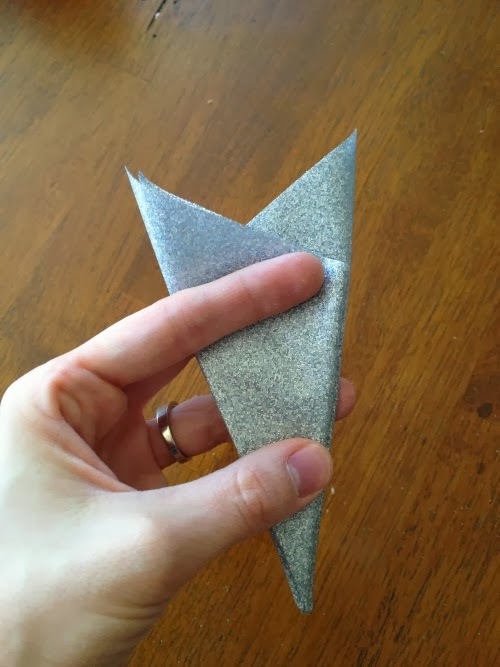 Here's how you can make your own in minutes! 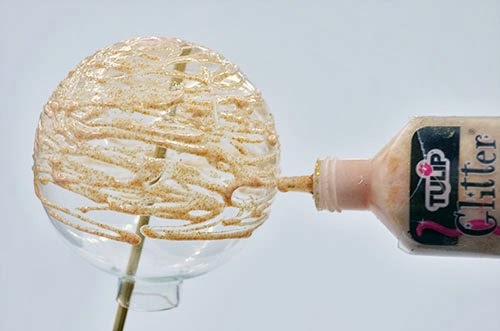 Before you begin: Mount your skewers in a sturdy piece of foam or a bottle so that you can easily work on your ornaments without them falling over. We used a foam head mounted taped to a table for our base to hold the skewers in place. 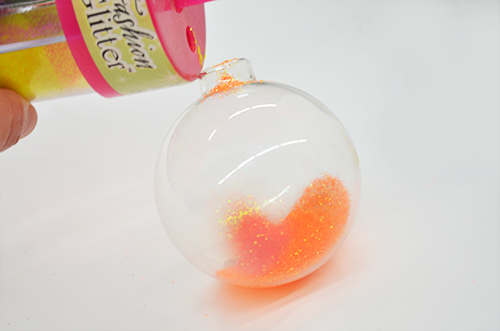 Apply the tip of the glitter directly to the ornament surface and squeeze. 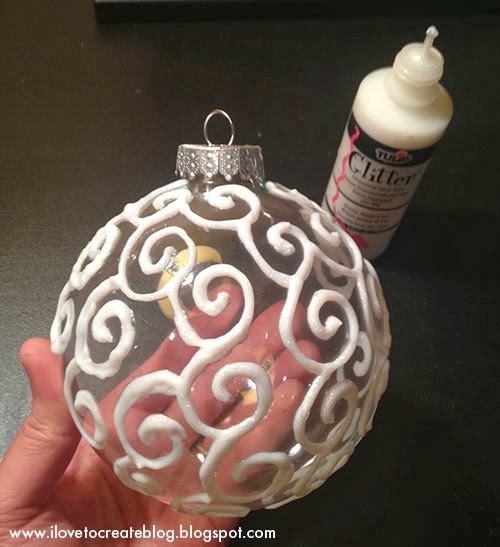 Swirl the paint around in a spiral shape starting from the top of the ornament and go down the sides. Continue down the side of the ornament, all the way to the base. Don't cover the little opening where the cap goes.Now simply let the ornaments dry on the sticks! Do not touch (though you will probably be tempted). The gold one turned out to be my favorite. And they turned out so pretty and fun! Super easy and they look like spun glitter! 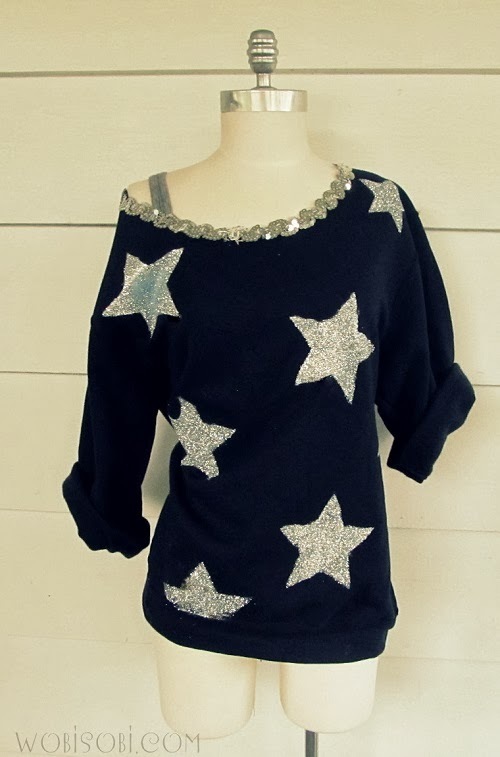 I had to add a little bit of sparkle to it. 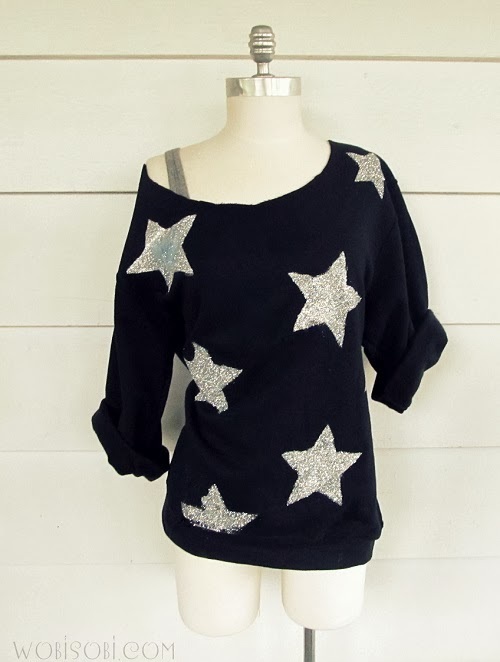 the off the shoulder look and cut the sleeves the length you want. and paint with your silver paint. 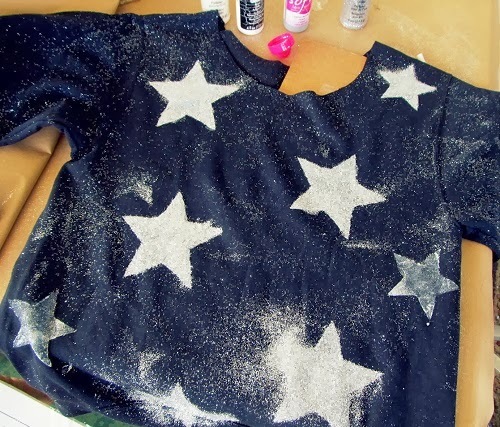 I then sponged on a layer of glue and covered it with glitter. Let that sit for about 5-10 minutes and then move to your next star. Let all of that dry about 4-6 hours. 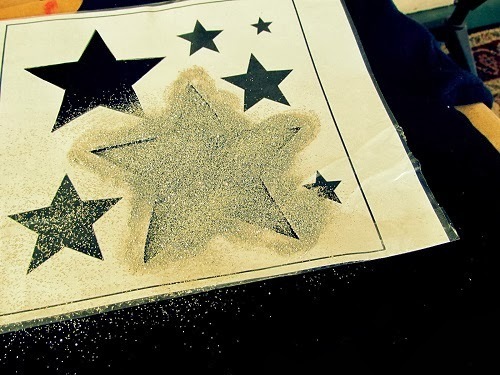 then put on another layer of glue on top of the star to seal the glitter in. 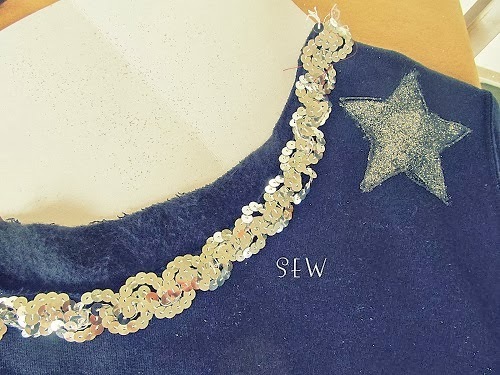 to dress it up just hand sew it on, that might take you about an hour. Tulips bead in a bottle. Then have fun wearing it out with a pair of cute jeans and some black pumps. As I've been perusing the craft and department stores this holiday season, I've been noticing a lot of brighter color ornaments. A lot of them in shades of bright neon! Neon has been a part of my life since 1991 (no joke...I had a bright orange button-up made by my mom). 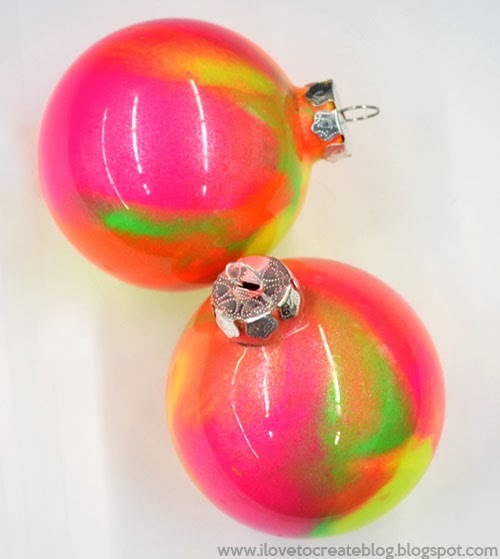 Anyway, I wanted to add a fusion of neon to my holiday ornaments this year and I knew I had to use Tulip Fashion Glitters and 3D Paint a.k.a. Puffy Paint. 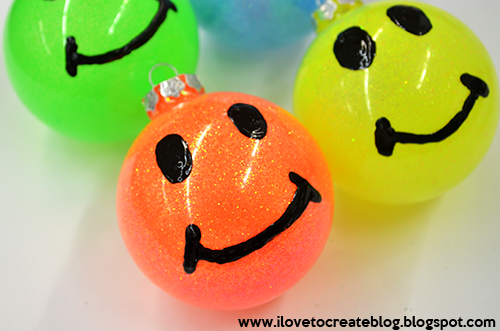 Here's how you can make your own Happy Face ornaments of your own! 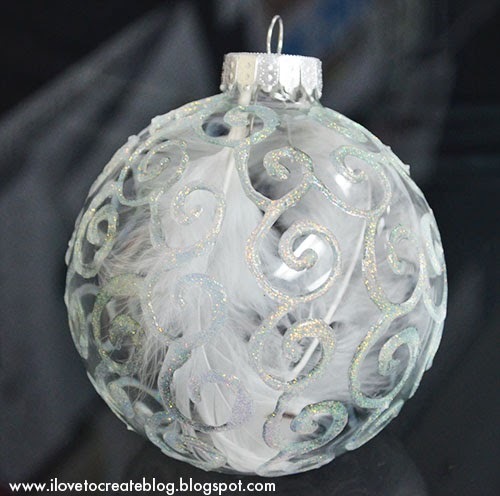 Squeeze a little bit of Collage Pauge into your ornament and add about a teaspoon of tap water to it. Swish it around to cover the inside of the entire ornament. 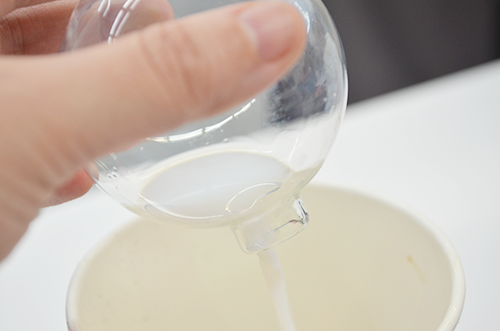 Pour out the contents of the ornament into a sink or cup. 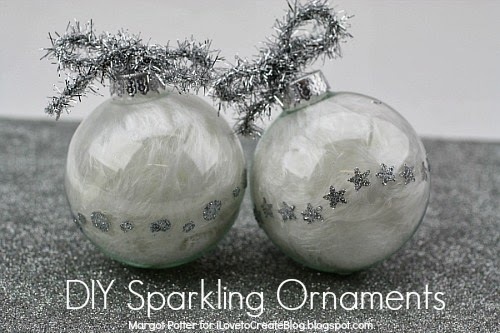 Wipe off the ornament with a paper towel if any gets on the outside. 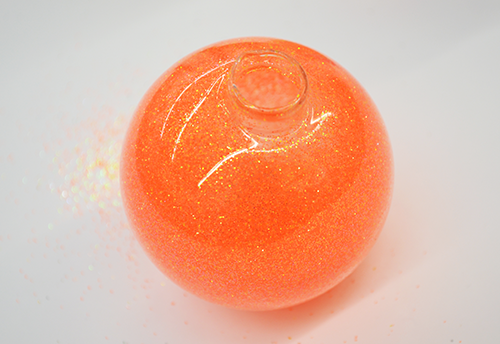 Now pour a teaspoon or two of the the Tulip Fashion Glitter into the ornament. 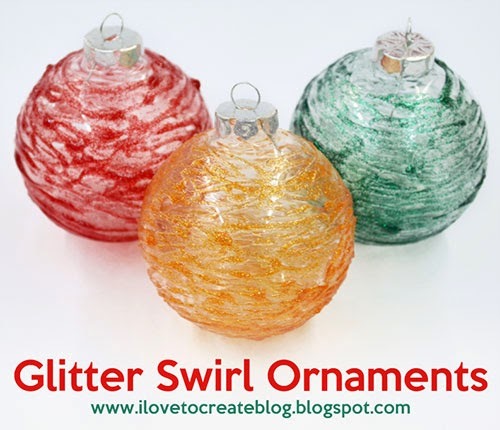 Swirl the glitter around inside the ornament, covering the entire inside of the ornament. 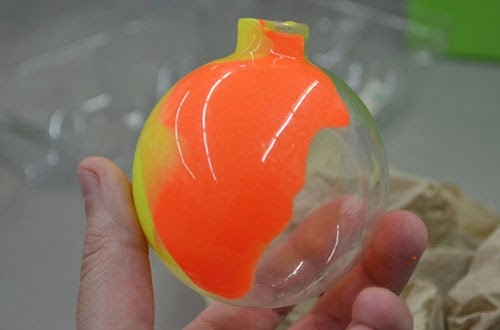 Your ornament will look like this when it is completely covered on the inside. 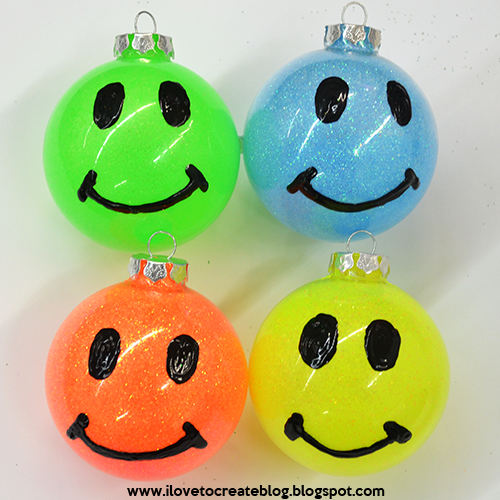 Use you Tulip 3D Fabric Paint to draw a smiley face o the front of the ornament. Let dry. Now you have an adorable set of ornaments that will POP off your tree or dazzle in a bowl for holiday decorating! 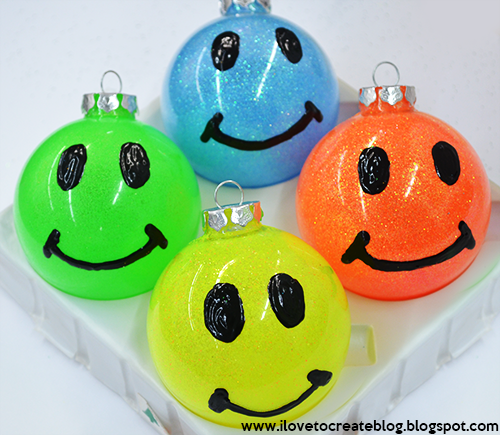 How cute would these be on a bright white tree? I think they'd look pretty darn smashing myself. And whenever you see them, you will get a smile on your face too! Have a nice holi"DAY"! Thanks for stopping by our creative home, where you'll find lots of cool project ideas from our team of designers and our super creative collaborators! 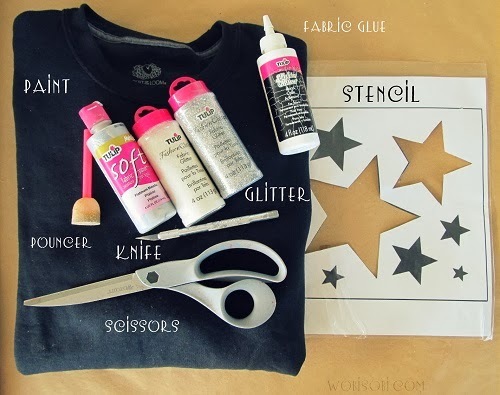 We hope it inspires you to try a new DIY project or crafty technique today!